Crystal Visioning was created by Christina E. High-Hardy, a practicing psychic and spiritual advisor. Christina is a friend of Vianna Stibal's (ThetaHealing, THINK Institute) and has been involved in metaphysical teachings and soul development since 1987. With the use of crystals she was able to enhance the process of therapy, clearing out old patterns and behaviours. While using the crystals Christina was able to help clients assess their past and future lives, review powerful lifetimes and download the clients with the gifts and lessons learned at a subconscious level and the DNA level. Crystals have many amazing properties which have been known for centuries and in recent times has been scientifically demonstrated. If crystals are laid out on and around the body in the right way they can help the client reach and maintain a meditative brain state. The advantage of using crystals is that it is easy to hold this state for a long period of time which makes it much easier to relax and observe. A crystal grid is used to create a "wormhole" that will allow you to safely pass from one reality to another. The philosophical perspective behind a Crystal Visioning is that all time is "Now" (something spiritual teachers have long taught and quantum physics now recognizes). It is easy, in a meditative state, to journey to any point, in any "time" or place and to view it, right Now. Many people are affected by past choices and events that appear in this lifetime as patterns or incidences that feel impossible to resolve. A Crystal Viewing will take the client back to the very beginning of the pattern and resolve its echos in your life today. A Crystal Viewing will help you to resolve issues that are affecting you TODAY by allowing you to return with the lessons and gifts from a previous time where the issue originated, grounding the resolution firmly in the now. You may return with the knowledge, tangible skills and attributes that you acquired in other lives, bringing you forward into you life NOW. This is an incredible tool to help you achieve and reach your highest potential. With Crystal Viewing, the only limit is your imagination. Explore your future - where will you be 10 years from now? This course is open to all and suited to those already familiar with energy healing modalities in particular or an interest in the concept of energy centres in the body. One of the biggest benefits of doing Crystal Viewing is that it rapidly improves your intuitive skills. It is an amazing technique to learn and brings forward wonderful experiences. Vianna Stibal (ThetaHealing, THINK Institute) uses various from of the crystal layout technique in her Rainbow Children's, Animal Class and Planes of Existence Class. For ThetaHealers one of the biggest benefits of doing Crystal Visioning is that it rapidly improves your intuitive skills. Healers who initially have trouble visualizing will often find that after 5 or so Crystal Layouts they can see, hear, smell, touch and feel clearly and easily in a meditative state. This technique will bring your own healing and your psychic powers to a new level. 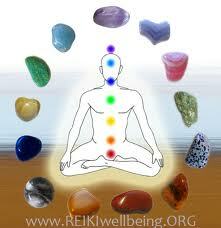 ﻿Two Day Course with a crystal healing day on the second day. If you don't see an upcoming date just ask! Crystal Visioning Healing Day is $50.00 CAD (Day 2). Open to anyone certified in Crystal Visioning. Balance of $150.00 CAD due first day of class. Payment methods accepted through PayPal™ include: credit card, debit card, electronic bank transfer and cash.